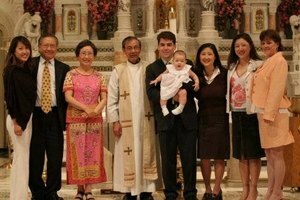 What Is a Baby Christening? Teach preschoolers about the Nativity story with hands-on activities. 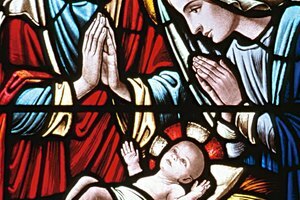 The story of the Nativity plays a key role in the faith and belief of Christians. While reading the Christmas story straight from the Bible is one way to introduce preschoolers to the events surrounding the birth of Jesus Christ, hands-on activities will bring the people in the story to life. 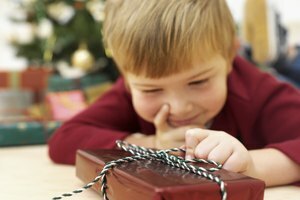 Engaging Nativity-themed activities will also increase the likelihood that the children will remember the story long after Christmas has passed. Decide what your objective is. Of course, you want to teach your preschoolers about the Nativity, but decide how in-depth you want to go in terms of what people you will teach them about and what events you want to cover over the course of the lesson plan. Identify how long you want to spend teaching the preschoolers about the Nativity story and how much time you have to devote to the lesson each school day. Perhaps you would teach them about the events leading up to Jesus' birth on one day and then introduce them to the innkeeper, shepherds, angels and wise men on another day. Select activities to accompany your instruction. Include whole group activities, such as reading stories, as well as hands-on art projects. Plan to reenact the Nativity story, sing Christian Christmas songs and say prayers, as well. A wide range of activities will be engaging for the preschoolers but will also provide many ways for them to learn and understand the story of the Nativity. Read several Nativity-related picture books to your preschoolers to introduce this important part of history. You might also read directly from the Bible to begin familiarizing your preschoolers with the passages from the books of Matthew, Mark, Luke and John regarding the Christmas story. Plan hands-on activities to reinforce what the preschoolers have heard from the Bible and from your whole group instruction. For example, you might give preschoolers white paper cutouts of the key people in the Nativity story, including Mary, Joseph, Jesus, the angels, the shepherds and the Wise Men. Allow the preschoolers to color each person with crayons and then glue them to a brown paper cut out of a stable. Put on a Nativity story performance. Assign each preschooler a part, such as Mary, Joseph or the innkeeper. Practice what role each person played in the Nativity story so the preschoolers have some idea of how to reenact the story. Don't assign specific lines, however, because most preschoolers won't be able to memorize them. You might include songs instead because most preschoolers are able to sing along with a class. Provide costumes, determine a date to put on the performance and invite parents and grandparents to come watch the Christmas story as told by your students. Sing Christian Christmas songs that tell about the birth of Jesus. Play the songs on a CD player or other music device and help your preschoolers learn the words to the songs. Play the music from time to time and encourage your students to sing the songs they've learned about the first Christmas. 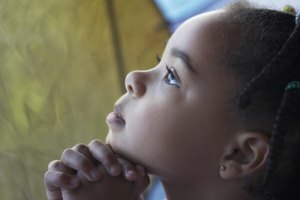 Teach your preschoolers simple prayers that express thankfulness for Jesus coming on Christmas morning. Recite the prayers at the beginning or end of your Nativity lessons each day. Provide Nativity-related activities for preschoolers to choose during free play time. Set out a variety of Nativity coloring sheets. 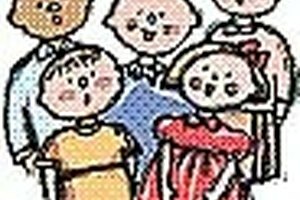 Nativity-themed stickers are available at many teacher supply stores and are an entertaining activity that will encourage preschoolers to retell the Christmas story. A Nativity-themed toy set is another idea that might inspire your preschoolers to retell what they've learned about the birth of Jesus Christ. What Is a Catholic Rosary Service? 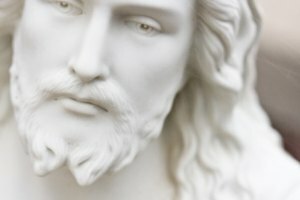 Why Is Jesus Christ Central to the Christian Religion? Ipatenco, Sara. 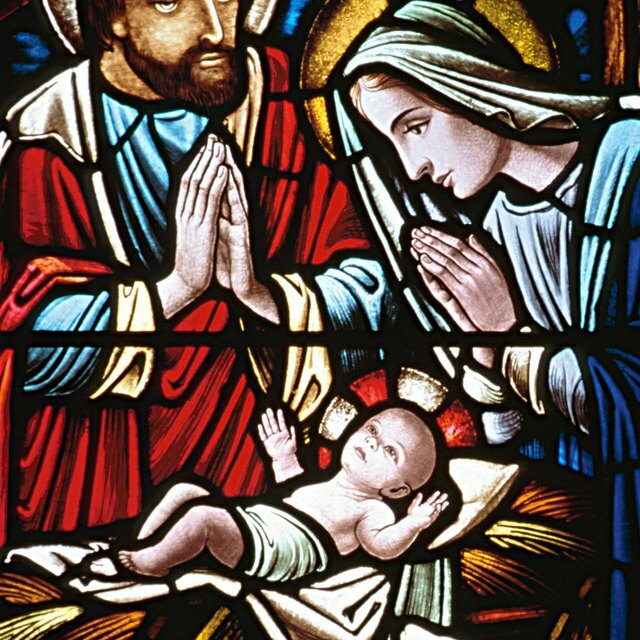 "How to Plan a Nativity Lesson for a Preschool." Synonym, https://classroom.synonym.com/plan-nativity-lesson-preschool-33367.html. 26 September 2017.